First images on my way to Antarctica… from Ushuaia in Argentina to the Antarctic Peninsula there is a 2-day open ocean crossing: the Drake Passage. Famous for being a rough crossing, with sometimes huge gales, in my case it was a really calm crossing… plenty of time to shoot sea birds, like this wonderful Dark-Browed Albatross (Thalassarche melanophrys). Albatrosses can spend years on the wing. 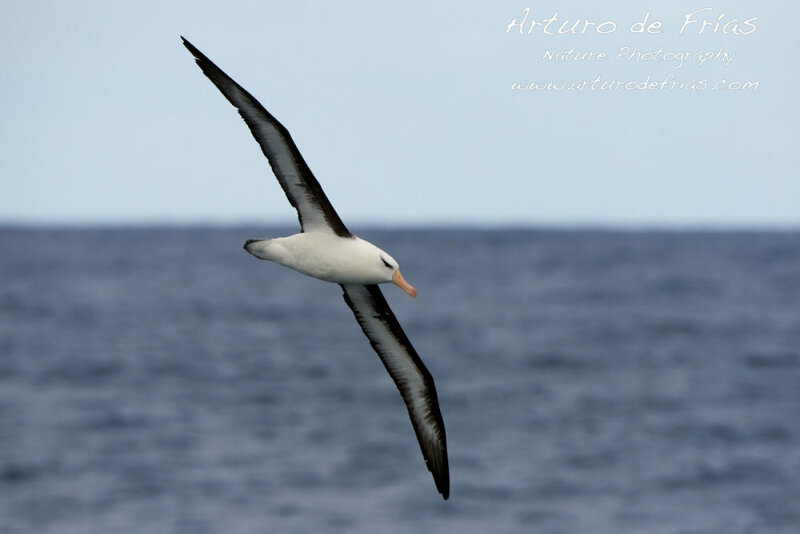 Albatros de Ceja Negra sobrevolando el Océano Antártico, por el Estrecho de Drake. Estas aves son los mejores voladores del planeta, pueden pasar años enteros volando en el mar, sin tocar tierra, hasta que llegan a la edad adulta, cuando vuelven a la colonia en la que nacieron, para aparearse.